In Episode 92 of the Just Japan Podcast there’s a party! A Christmas Party! 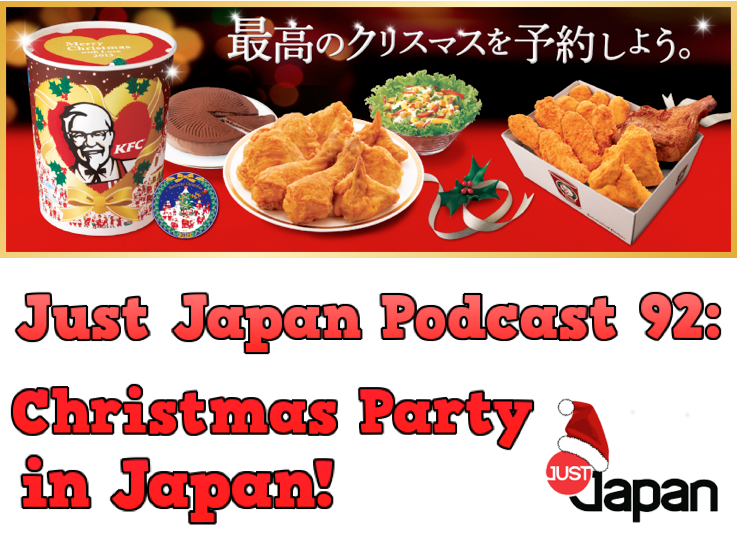 Guests Steve Miller of the Asia News Weekly Podcast, Mully of the Mully’s Place Podcast and Kathryn and Russ of the Kitty Does Japan YouTube channel join the podcast for the 2nd annual Christmas Party Podcast! Learn about Christmas in Japan and Korea. How do people celebrate the occasion? What do they eat and what do they do? The guests share fun stories about the Holiday Season in Japan and South Korea as well as their favorite Holiday movies and activities. Help out the Just Japan Podcast by throwing a little coffee money our way over at Patreon.com! Check out Kevin’s Nature in Japan photography page! Wanna buy cool Japan stuff? Check out Luck of Japan on Etsy! Join the amazing Facebook community by LIKING the FB page! Check out the reboot (2014)with me at 0:28!